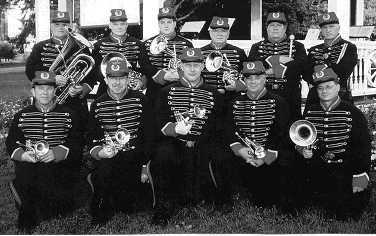 Band Biography - The Excelsior Cornet Band is based in Upstate New York. They are a polished group of musicians who bring a vigor to the music of the Civil War. Both of these bands present a glorious sound from original music arrangements from the period. The bands will join forces for a demonstration of their instruments and will be available to answer your questions about brass band music and the variety of patriotic airs from the period. A special patriotic medley is planned for the Saturday evening Grand Concert.